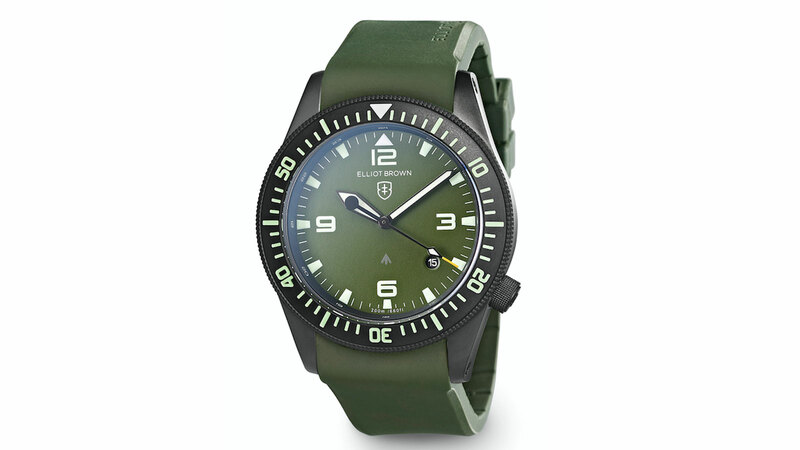 Elliot Brown Watches has launched the first military issue watch from a British company in ten years, complete with NATO stock number (NSN). The unveiling of the Elliot Brown Holton Professional follows extensive R&D work and was developed in direct response to contact from specialist military operators for a fit for purpose dive watch. This legacy entitles the Holton Professional to feature the famous Broad Arrow on the dial. It will enter military service as a piece of issued equipment for all serving members of a specific military unit, as well as a variant sold through select retailers. The watch has been tested to the necessary extremes – including high altitude jumps, long duration cold water immersion, dusty desert hideouts and diving in tropical waters. It has also passed a water pressure test at 200m. 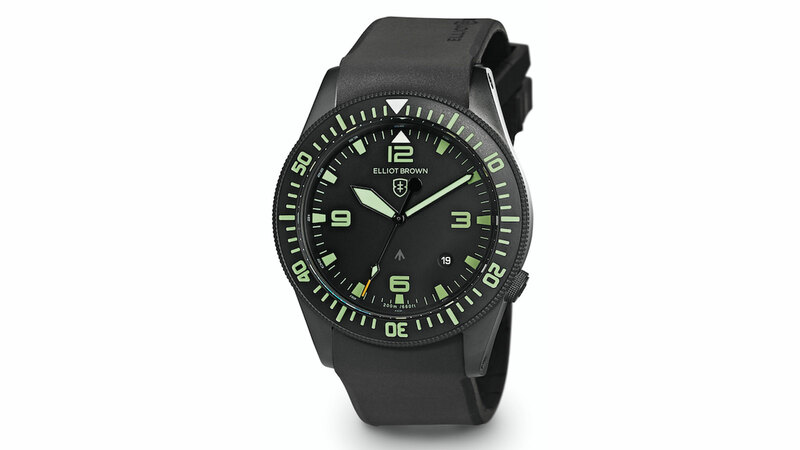 Its design is thoughtful and considerate of the work of military dive professionals. The bezel is unidirectional, luminous at night and can be turned using the palm of a cold, wet glove. The Holton Professional is available for pre-sale now via the Elliot Brown website.